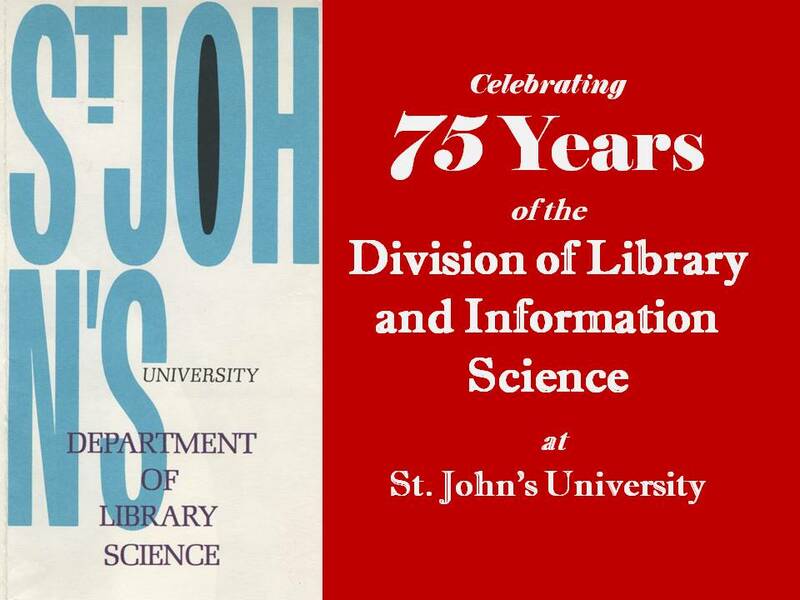 In celebration of 75 years since the founding of the Division of Library and Information Science, an exhibition of materials from the University Archives illustrates the history of the program. Included are reproductions of photographs of faculty, students, and events over the years, early advertisements and a copy of a diploma from when the Library Science program was part of the Teachers College at the St. John’s Brooklyn campus. For more information about the history of St. John’s University, please contact the University Archives at archives@stjohns.edu or 718-990-1465.